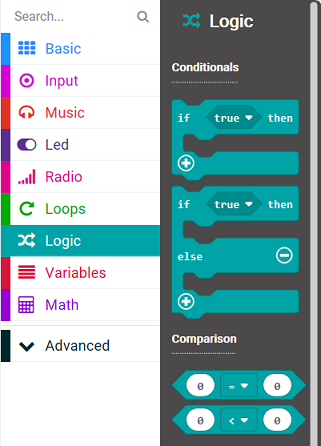 Guide the students to create a program using Boolean variables and operators. We’ll use our pseudocode from the previous activity to code a double coin flipper program. Now we need to initialize the variable values. Put a ‘set’ variable block for each of these 4 variables inside the ‘on start’ block. a string variable is initialized to an empty string ""
Initialize the number variables to zero and the Boolean variables to false. You can find the false blocks under the Logic menu. Notice that we also added an image for the start screen, so the user knows the program has started and is ready. Does the image look like two coins? 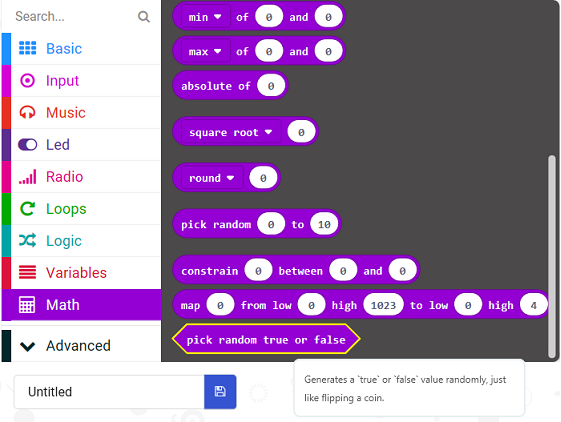 When the player shakes the micro:bit, we will code the micro:bit to give each of our Boolean variables a random true/false value. Hover over this ‘pick random’ block and note that its pop-up description mentions coin flipping! Now that the virtual CoinA and CoinB have been virtually flipped, we need to compare the outcomes to see if they are the same or different. Now our logic block is ready for the next steps of our pseudocode. Compare the current values of Coin A and Coin B. If the current true/false values of Coin A and Coin B are the same, add a point to Player A’s score. Otherwise, if the current true/false values of Coin A and Coin B are different, add a point to Player B’s score. Because we were able to visualize our blocks as we wrote our pseudocode, we already know what blocks we will use and also know that we have simplified our code as much as possible! To finish our program, we’ll display the players’ current scores on button A pressed. Here is the complete program for our Double Coin Flipper. Try it out! Have the students play a few more rounds of the Double Coin Flip using their new micro:bit Double Coin Flipper! Do you remember this code from our micro:bit Alarm? Can you read this code and tell what it does? 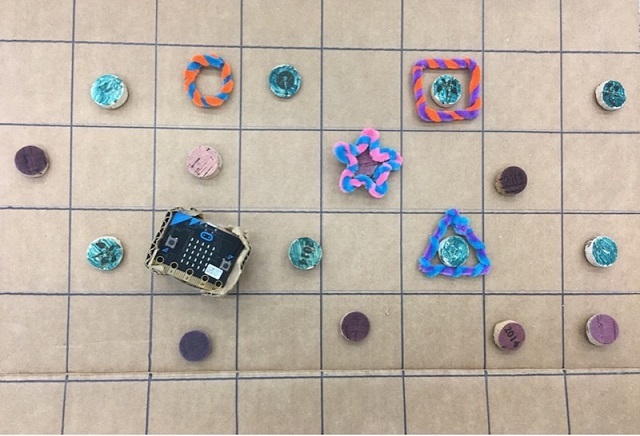 If the micro:bit is shaken, the micro:bit will play two tones twice and keep repeating this action until button A is pressed. So, after shaking, as long as ‘is button A pressed?’ is false, the two tone alarm will continue to repeat.